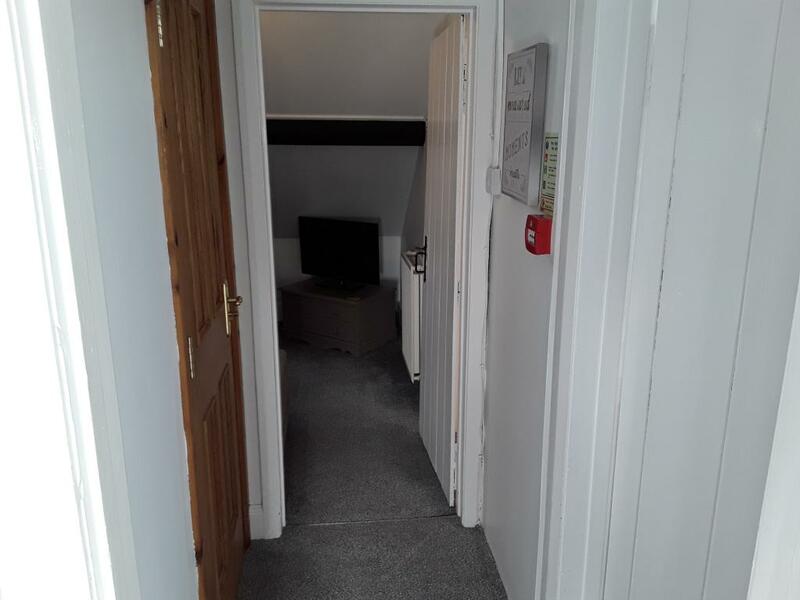 Basement studio room. 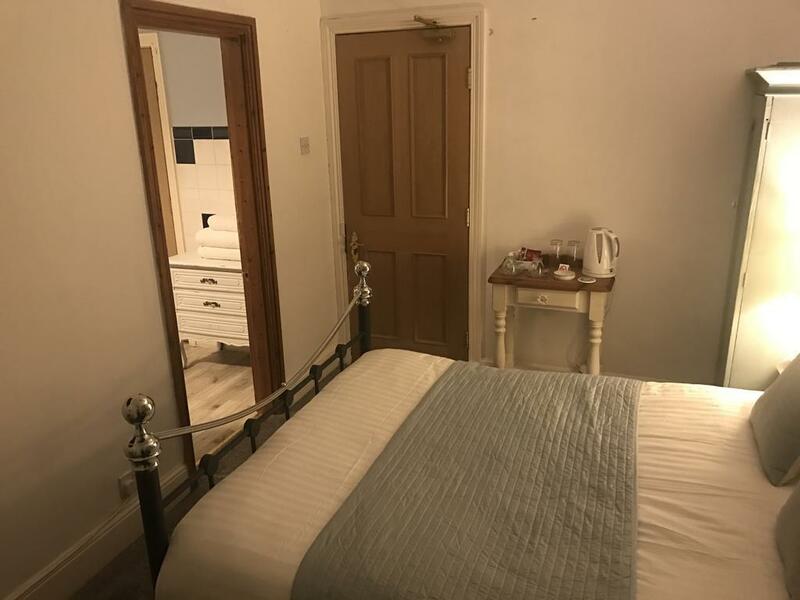 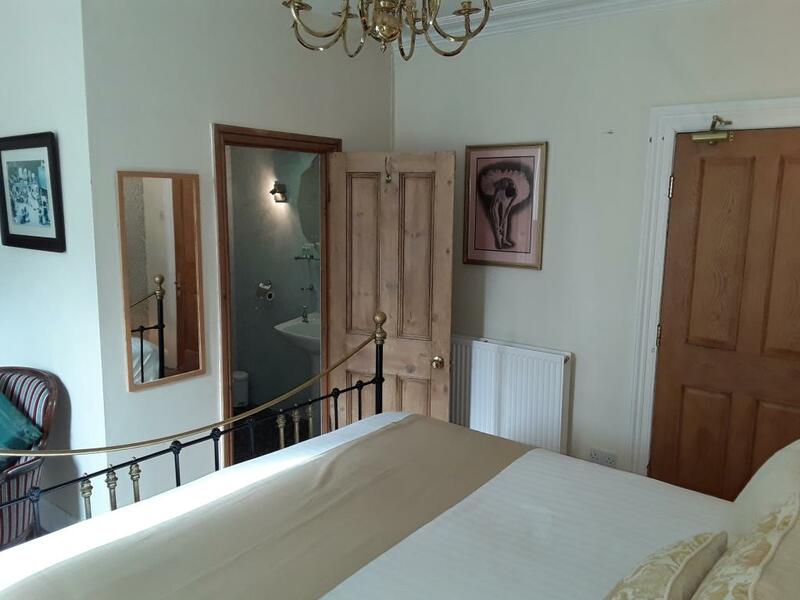 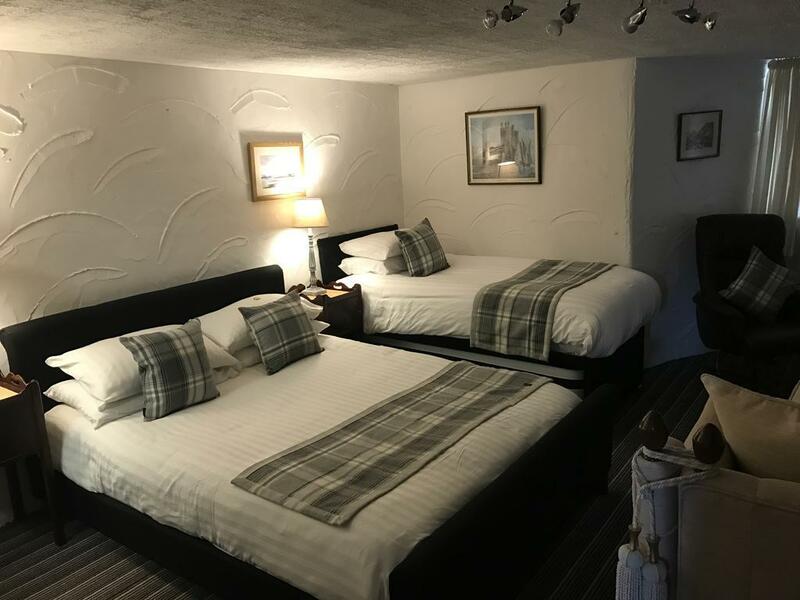 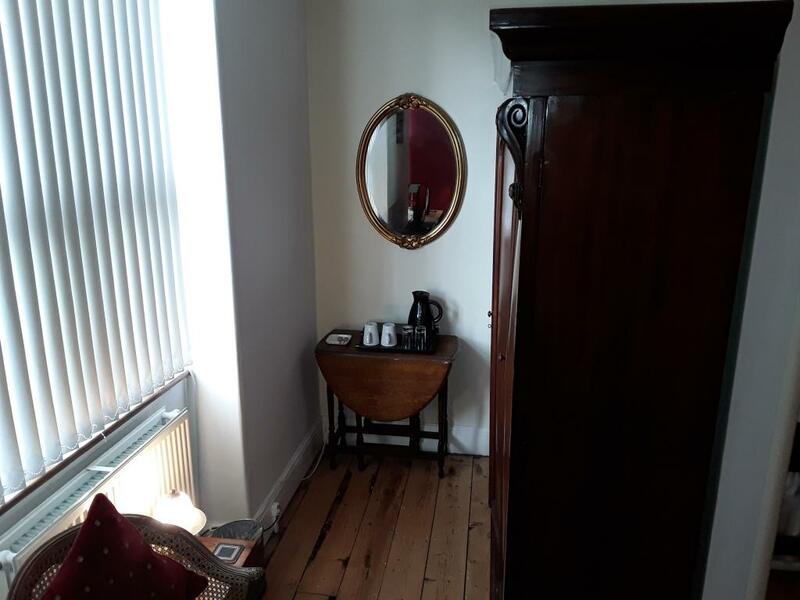 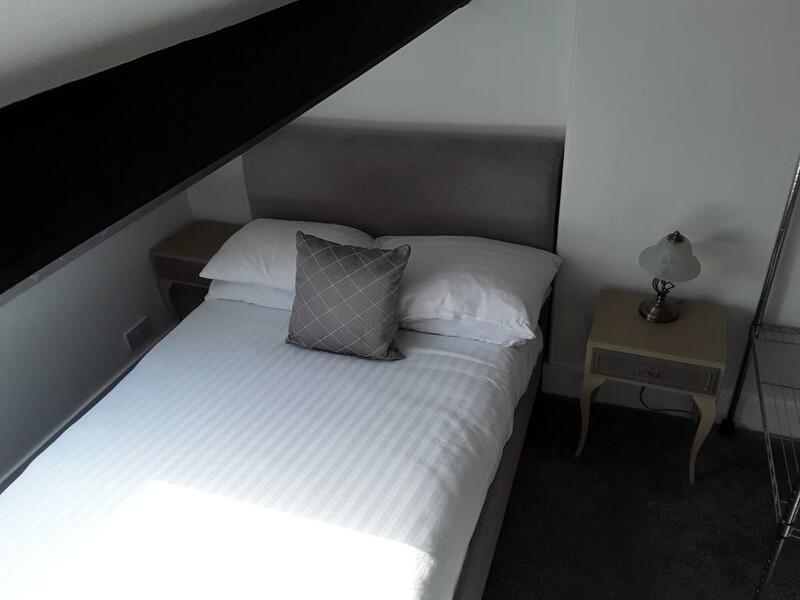 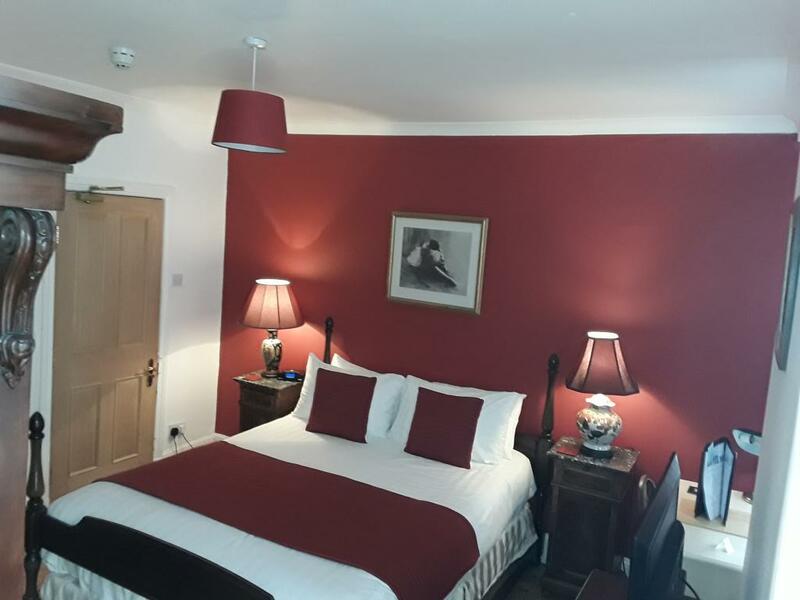 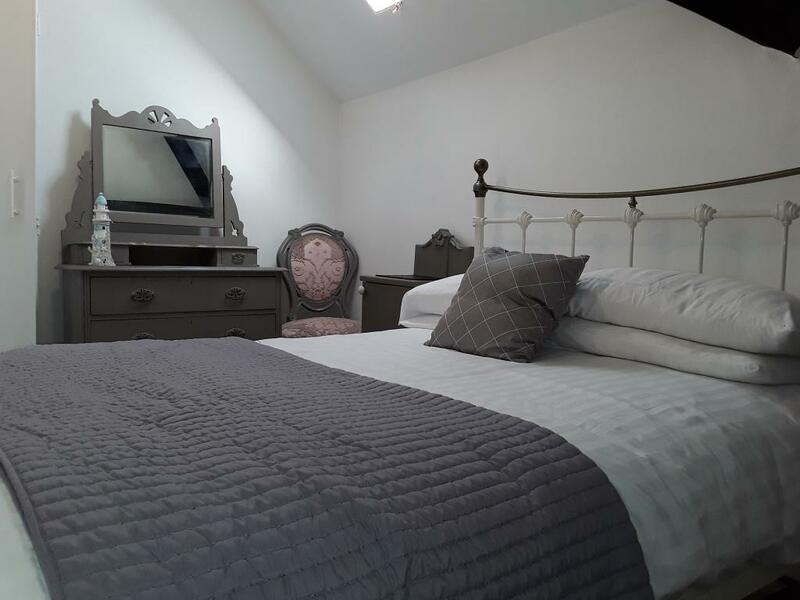 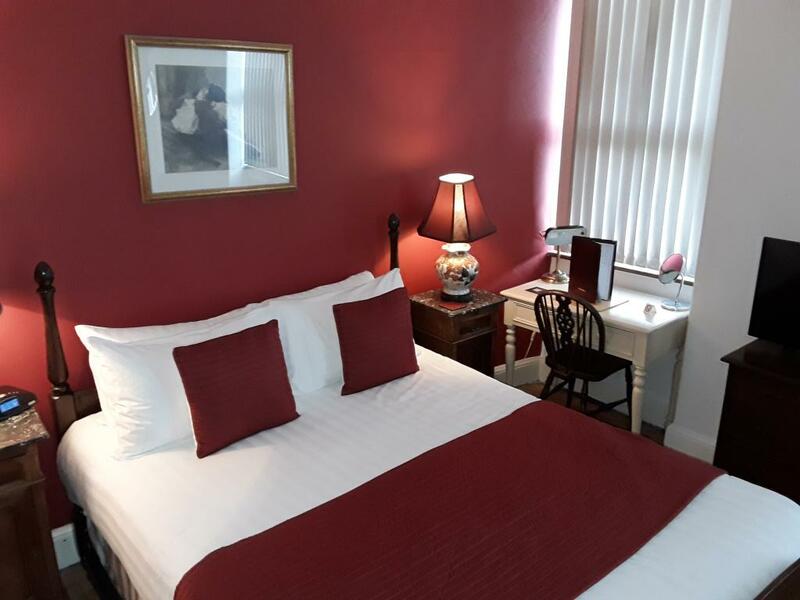 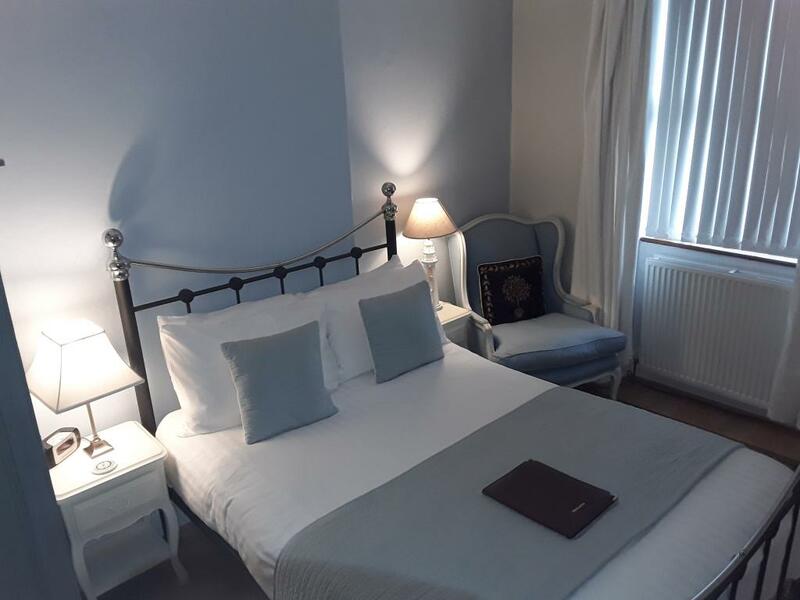 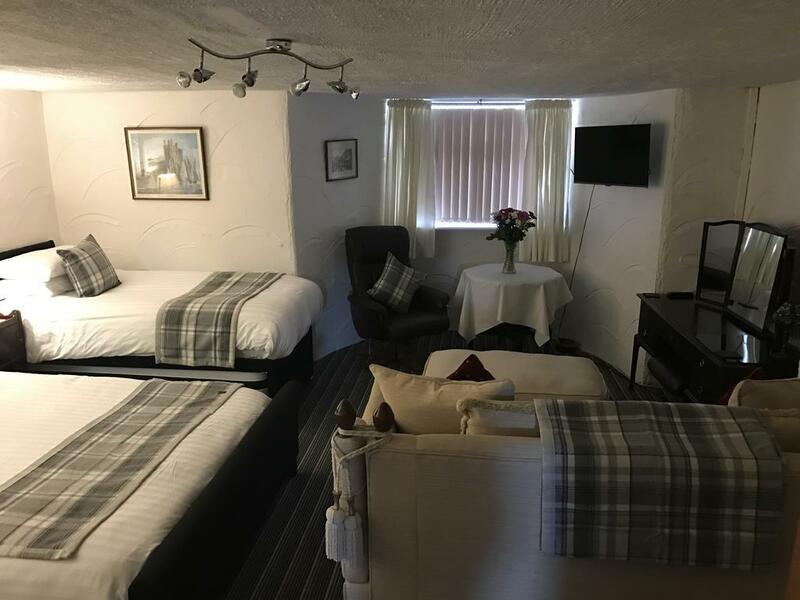 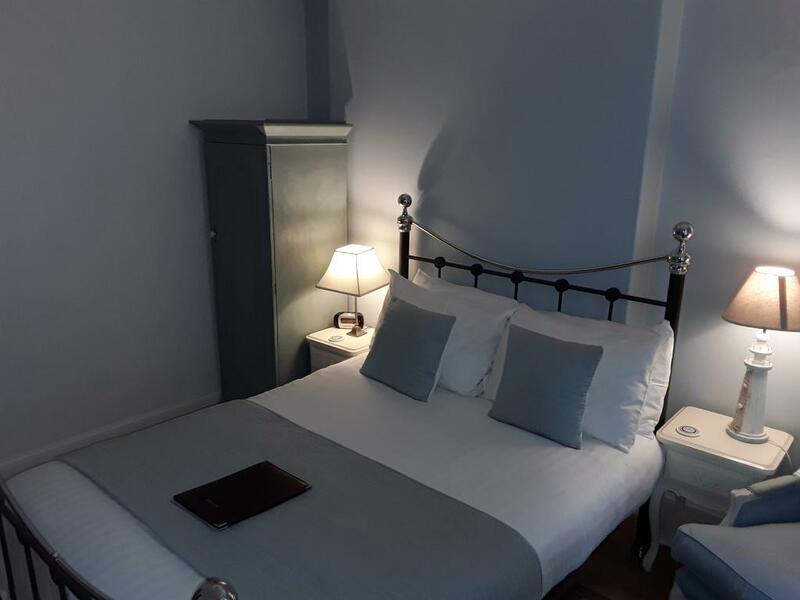 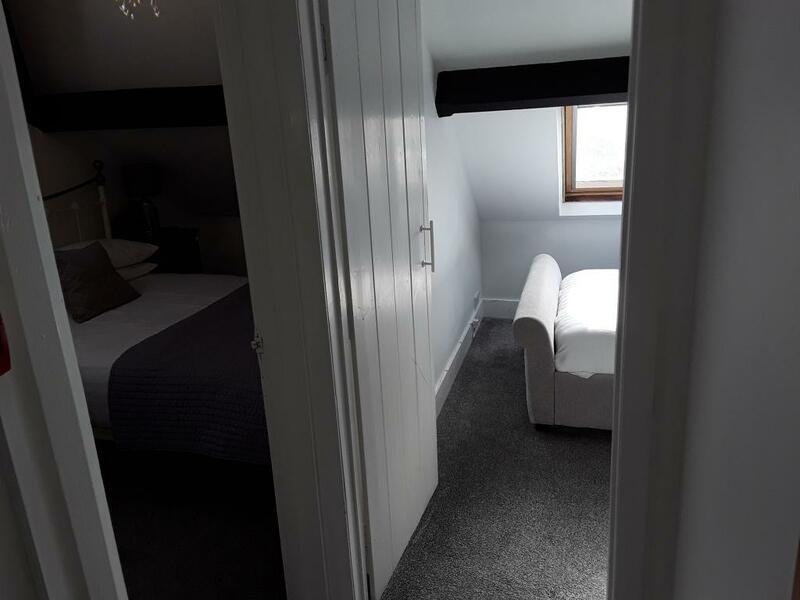 the rooms consists 1 king size bed, 1 single bed and an optional extra bed with a lounge area, shower room, kitchenette, tea coffee facilities, toiletries, luxury towels and has its own private entrance and courtyard garden. 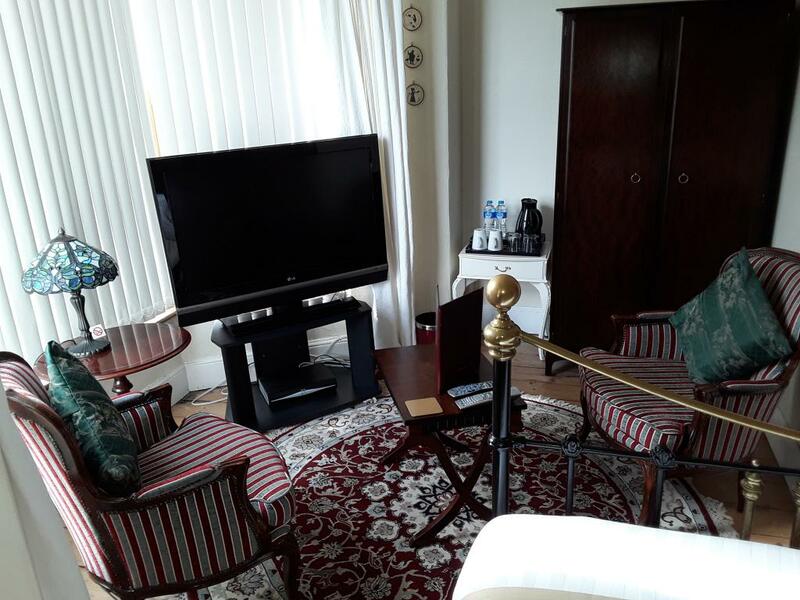 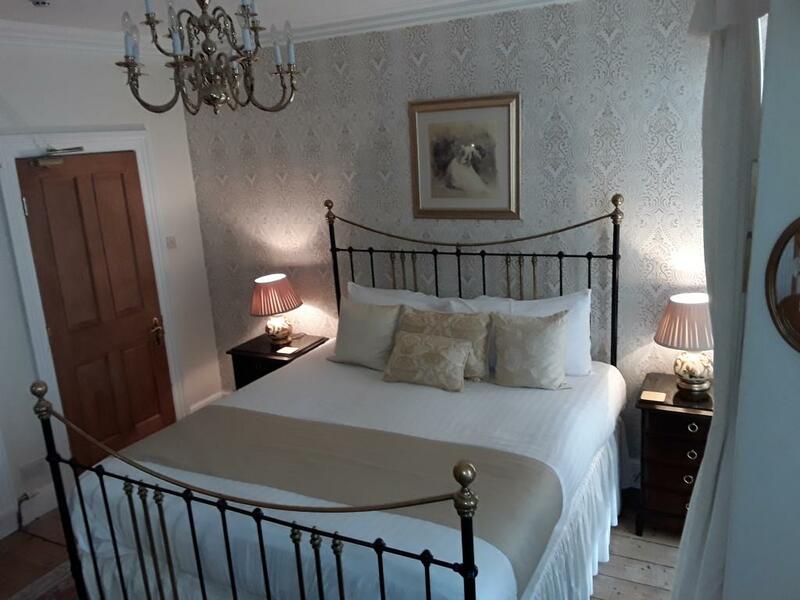 This traditional room has a large king size bed, with luxury bedding, luxury goose feather pillows, large tv. 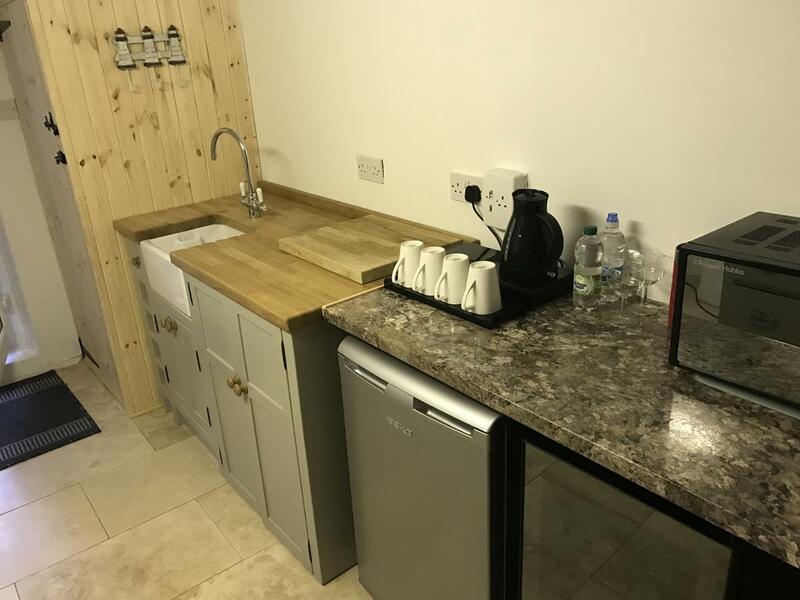 tea and coffee facilities, shower room and toiletries. this classic room is all about comfort. 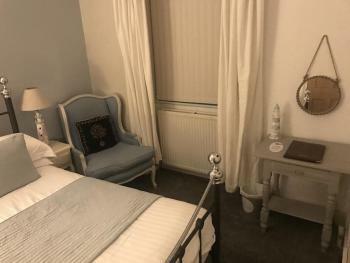 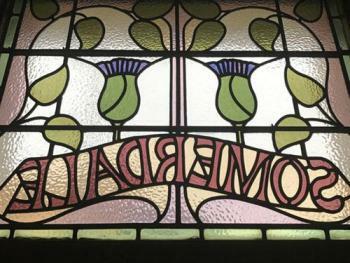 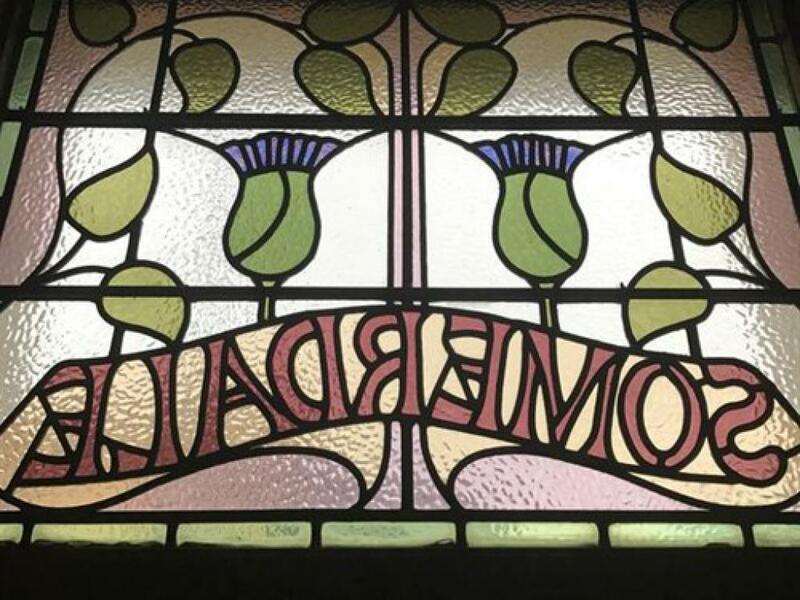 A well appointed room. 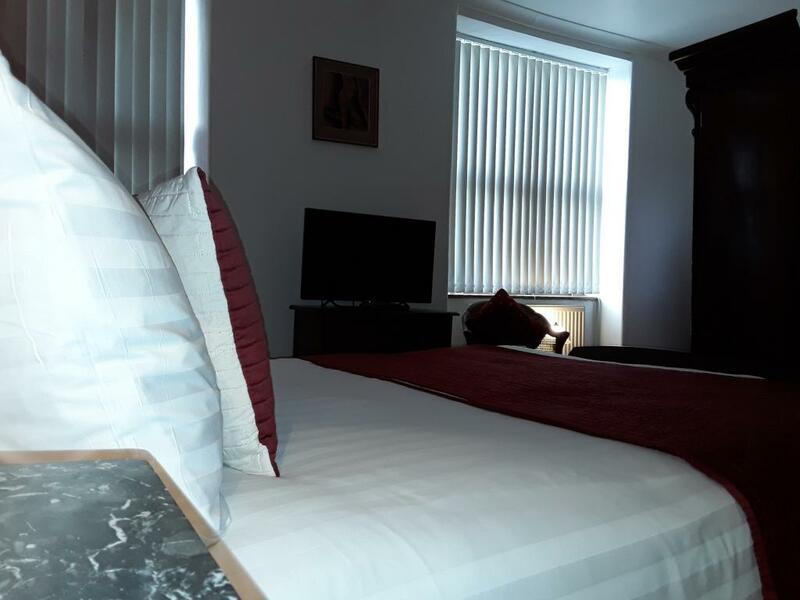 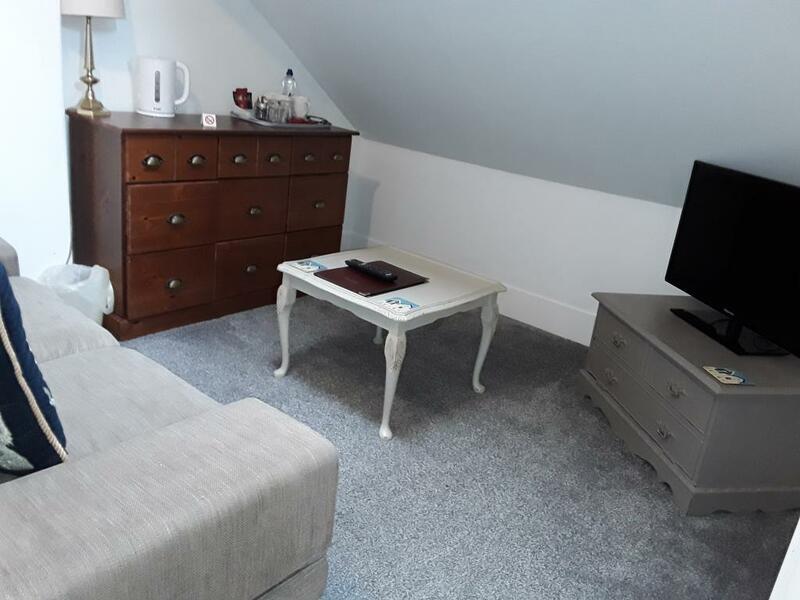 With ensuite shower, luxury bedding, tea and coffee facilities, toiletries and sky T.V. Family room with two double beds and a bathroom also a small tv lounge. 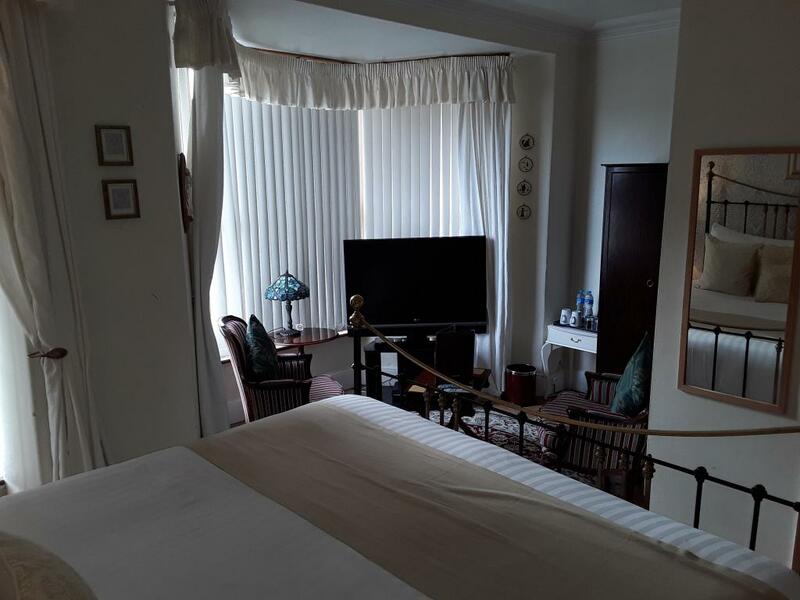 The room has tea and coffee facilities, luxury bedding and is based on the top floor of the property with a good view of the ocean. 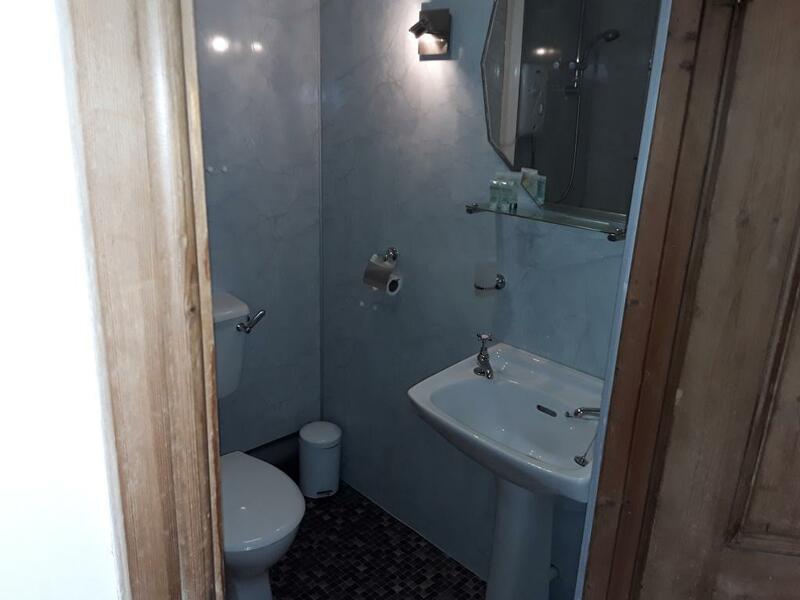 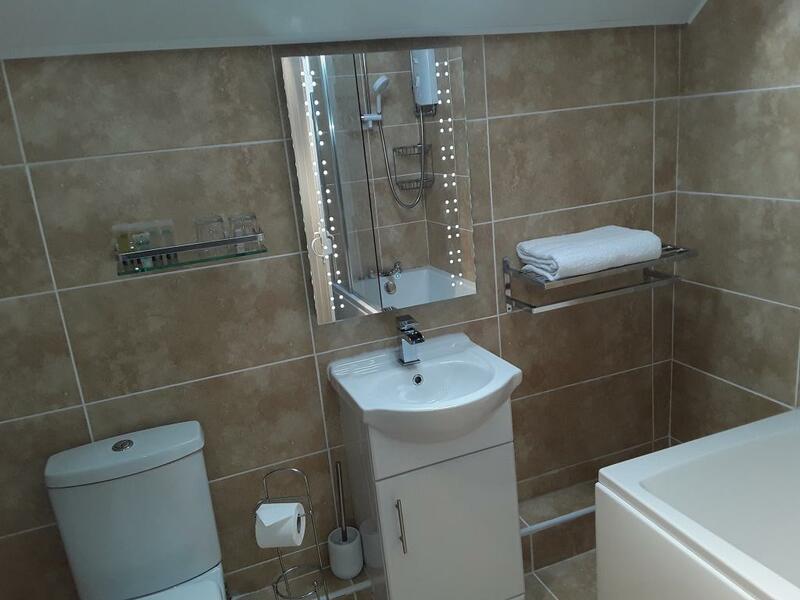 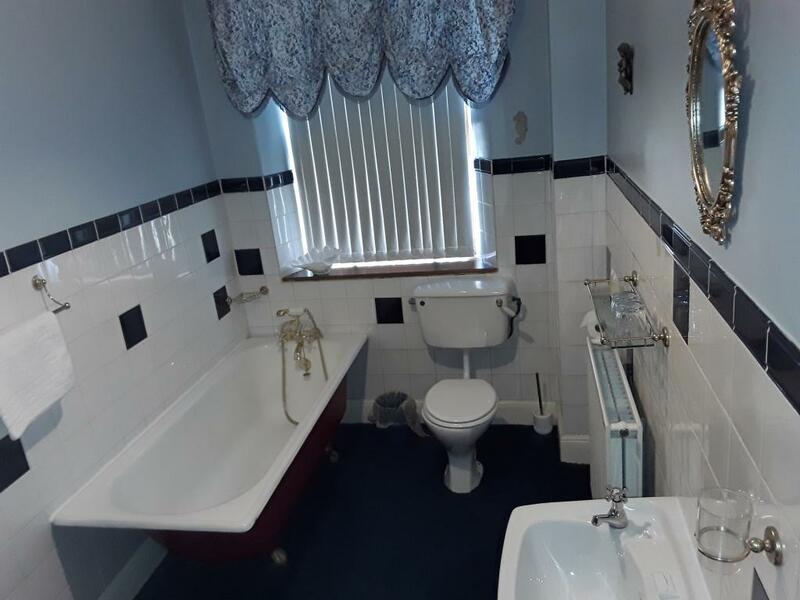 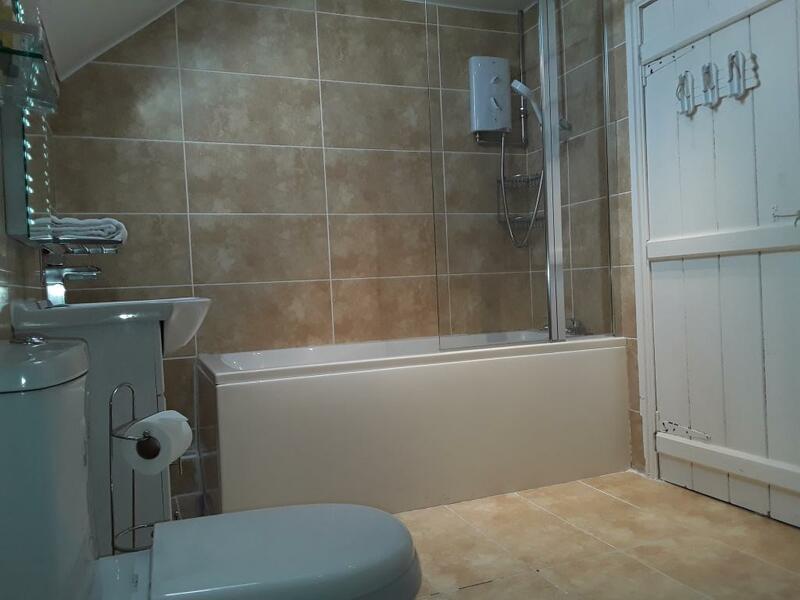 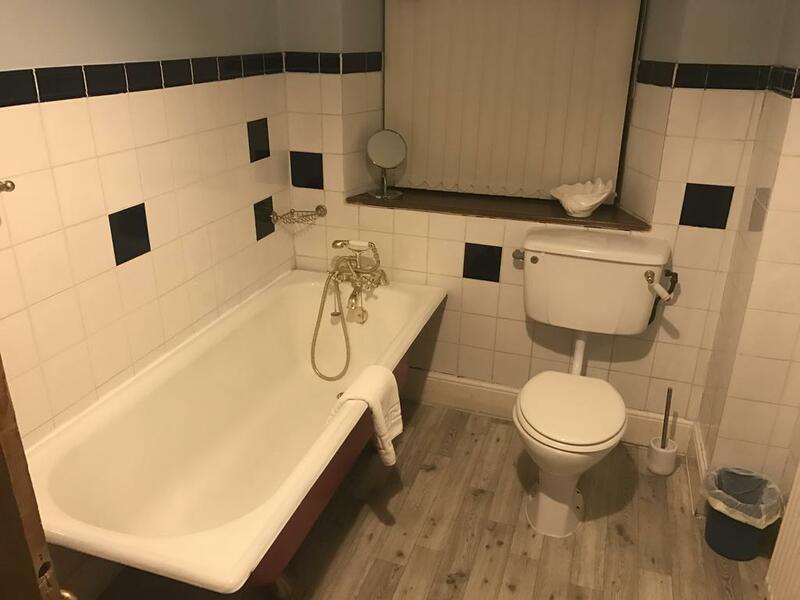 This basic vanity unit has a comfortable single bed, tea and coffee facilities and luxury towels. 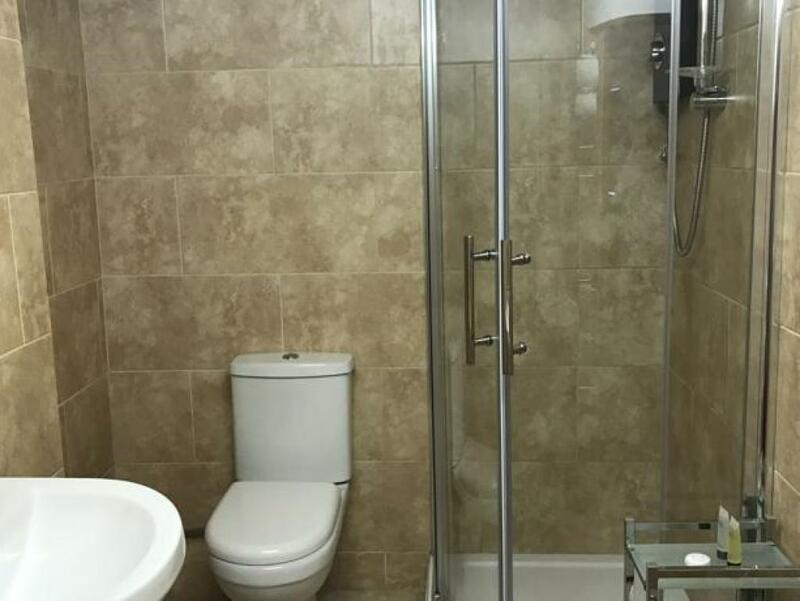 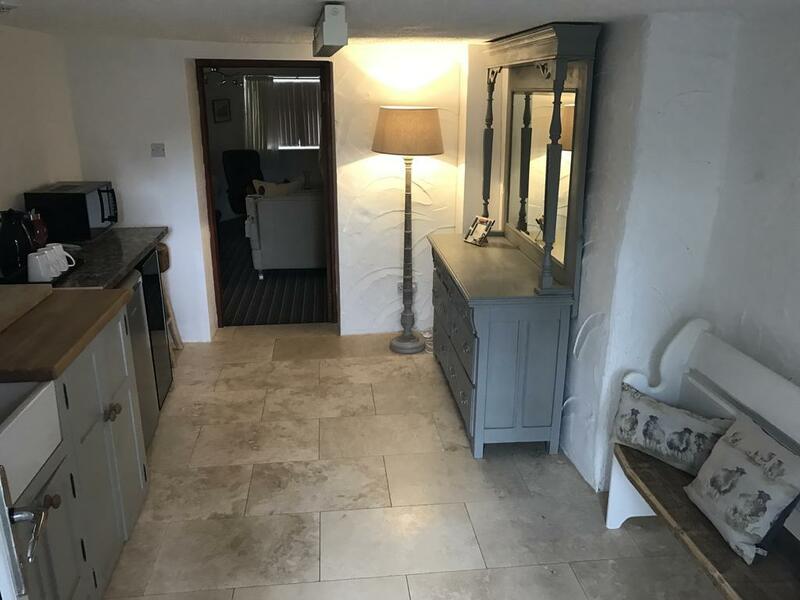 It has no bathroom or ensuite and is therefore available at a discounted rate.